With the recent launch of the next generation Falcon X3+ mobile computer in August of 2014, it is now time to announce the obsolescence of its predecessor, the highly successful Falcon X3 mobile computer. This will apply to all models of the Falcon X3 along with special versions as well. The new Falcon X3+ ruggedized mobile computer from Datalogic represents the next evolution of the Falcon product line. Following the form factor of its predecessor, the Falcon X3+ mobile computer offers swift, accurate reading capabilities of both 1D and 2D symbologies. Laser models offer speedy reading of 1D linear bar codes as needed at both near and far ranges. The Falcon X3+ mobile computers also provide imager-based technology for customers opting for the flexibility of omnidirectional scanning of both 1D and 2D codes. This also now features the addition of a powerful 2D Extra Long Range option. CipherLab’s New RS30 Rugged Android Smart Phone. The RS30 series by CipherLab with its 4.7-inch touch screen, along with Android’s 4.4 operating system enables the user interface to be as familiar as any personal smartphone. Its large 4.7 inch screen allows data to be easily seen and quickly navigated. This ensures a rapid process for its users and allows them to be more productive. The lightweight design of the RS30 series carefully frees the burden for users and makes it easy to carry. Ultimately the RS30 Series touch mobile computer simplifies the operating process with an intuitive touch-centric familiar experience. 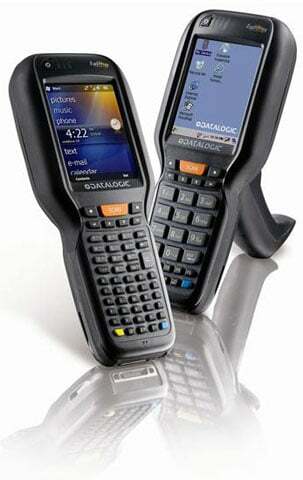 After a long run as a leading enterprise handheld mobile computer, the Intermec CS40 is finally coming to an end. Its compact, lightweight ruggedized design was the ideal solution for in-the-field applications like route accounting, field services, merchandising, and inventory tracking. 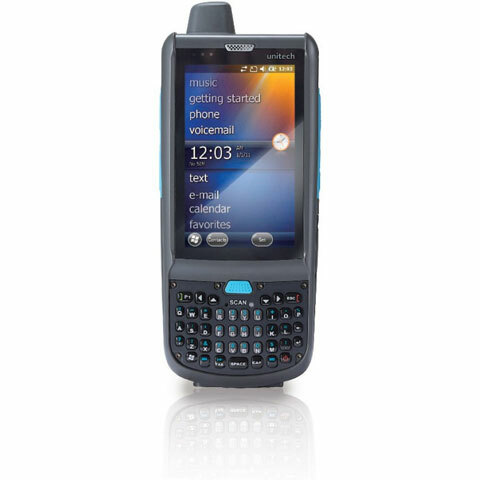 Users seeking a scanphone replacement to their CS40 mobile computers should migrate to the new Honeywell Dolphin 60s. As the newest offering in Honeywell’s Mobility scanphone, the 60s are perfect for anyone seeking an entry level price, hard key data entry, medium-duty scanning, and a durable, pocketable device. Additional features include: Microsoft WEH 6.5, 3G UMTS/HSPA, 802.11 a/b/n, 5 Mpx camera, BT, GPS, 2D Imager and extended battery pack. Anyone interested in Honeywell’s latest enterprise hybrid device, the Dolphin Black 70e successfully marries size, style and usability of a consumer device with the reliability and longevity of a traditional rugged handheld. Additional features include: Microsoft WEH 6.5 or Android, 3G WWAN, 802.11 a/b/g/n, 5 Mpx camera, BT, GPS, 2D imager and extended battery pack option. 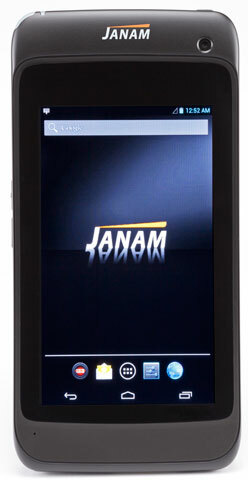 Janam has announced the launch of XT1, the industry’s lightest and most powerful rugged mobile computer. With industry-leading performance and unparalleled versatility, the new rugged XT1 is Janam’s first device to support the Android operating system and is built to meet the diverse needs and demanding requirements of enterprise and government customers. The PA520 will feature the same slim, PDA look as some of its predecessors. It fits comfortably in a shirt pocket, making it easy and comfortable to carry around. Customers looking for an affordable rugged unit running Windows 6.5 will love the PA520’s competitive price point. With laser and 2D imager scanner options and a 3.5-inch touch display available in either VGA or QVGA resolutions, the PA520 is a great fit for applications inside the four walls such as inventory and asset tracking. Rugged and built to last, the PA520 outperforms any consumer-grade device. Durable construction makes for a lasting investment, whereas consumer-grade devices are designed to be replaced every 1-2 years. Datalogic has announced the availability of the new Falcon X3+ mobile computer, representing the next evolution of the very successful Falcon X3 mobile computer line. Following the form factor of its predecessor, the Falcon X3+ mobile computer introduces many new and exciting capabilities including the ability to read 2D barcodes at extreme distances with the new XLR 2D scanner, along with significantly higher wireless communications throughput with the 802.11n dual band WiFi radio. A full VGA display, faster processor, more memory, and higher levels of ruggedization all combine to allow the Falcon X3+ to adapt to many new applications.